Peter Hall was instrumental to the establishment and success of AMSI’s scientific program. 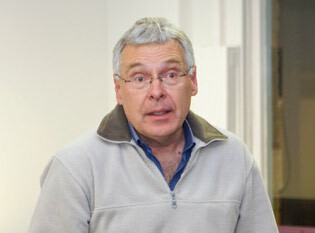 In 2003, the first full year of AMSI’s operation, Peter Hall accepted the position of chair of the Scientific Advisory Committee as one of Australia’s most respected and active mathematical scientists. This is an advisory committee to the AMSI Board whose membership comprises eminent mathematicians and statisticians of international repute and includes Professor Terry Tao, Australia’s only Fields medallist. For the next seven years Peter was architect and custodian of AMSI’s scientific program. This program annually delivers between 15 and 20 workshops in mathematics, statistics and cognate disciplines around Australia. It has been instrumental in bringing hundreds of scientists to Australia from the world’s strongest research communities. Peter worked tirelessly with workshop organizers to realise their vision, mentoring them on their applications and the execution of their meetings. His remarkable work ethic and deep experience along with the expert advice of the members of the committee has had a considerable impact on our research output and the grant success of our discipline over the last 10 years. The program itself has developed a strong sense of national identity amongst the researchers and research students at AMSI’s 30 odd member institutions. All the AMSI directors have relied heavily on Peter for policy advice in pursuing the Institute’s mission. He can quite rightly take considerable credit for our success. Of course, his service to the discipline extends far beyond his work at AMSI. His superhuman ability to be both one of our most respected and prolific scientists and a servant to his discipline commands the respect of everyone who knows him.